1. Log in to TigerWare. 2. Click the download link found under Download for Authorized Users. 3. Choose the Save File button on the new dialog box. 4. 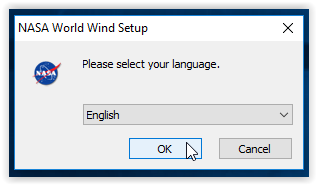 Select your preferred Language. 5. 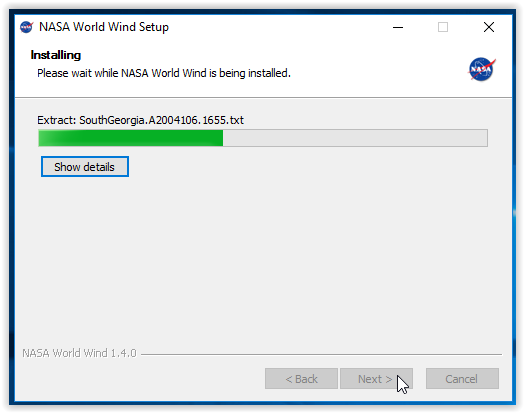 In order to install NASA World Wind, Managed Direct X needs to install support files on your computer. 6. 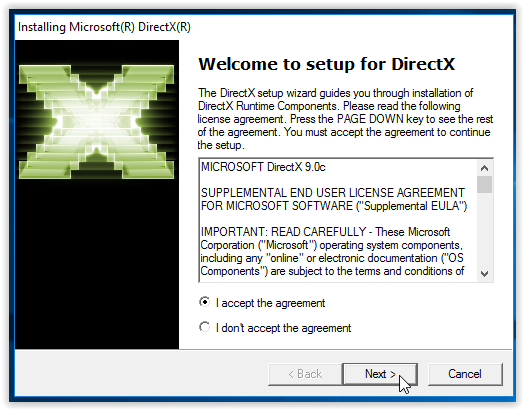 Run the Setup for DirectX and Accept the Agreement to continue. 7. 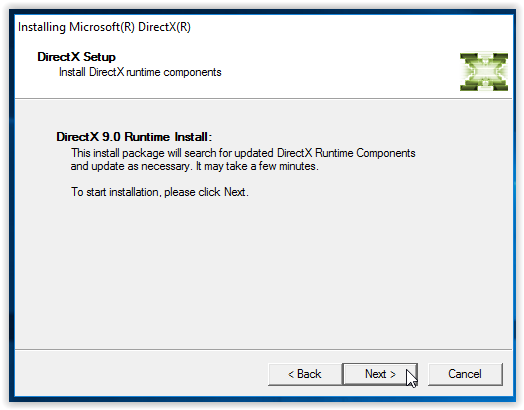 Install the Direct 9.0 Runtime package. 8. 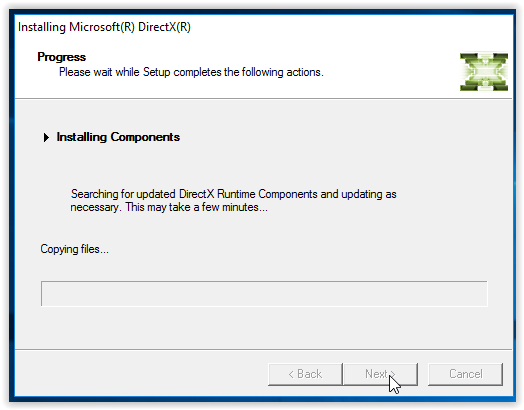 DirectX will begin installing the necessary components to run on your computer. 9. The installation of Direct X should be completed and now the installation of NASA World Wind can begin. 10. Click Next on the Setup Wizard. 11. 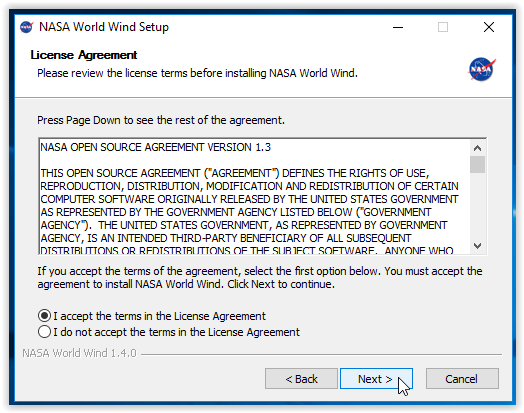 Accept the License Agreement and click Next. 12. 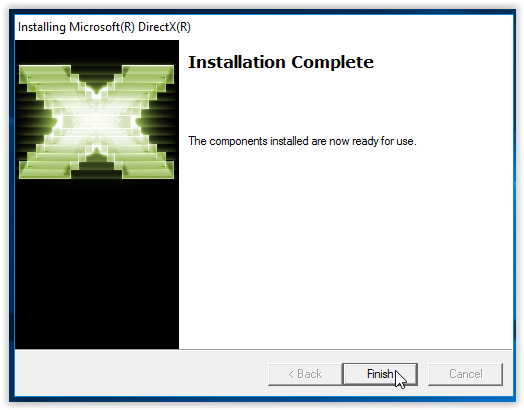 Choose the Desired Components to install along with the program. 13. 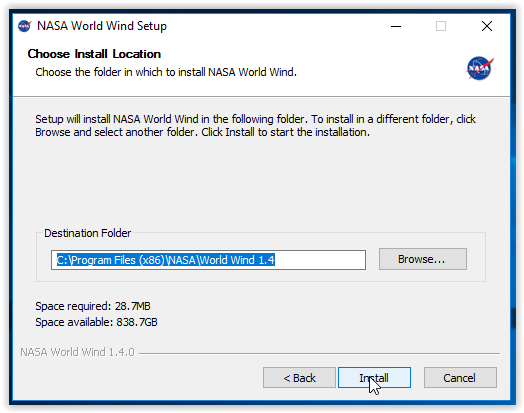 Choose an Install Location for NASA World Wind. 14. 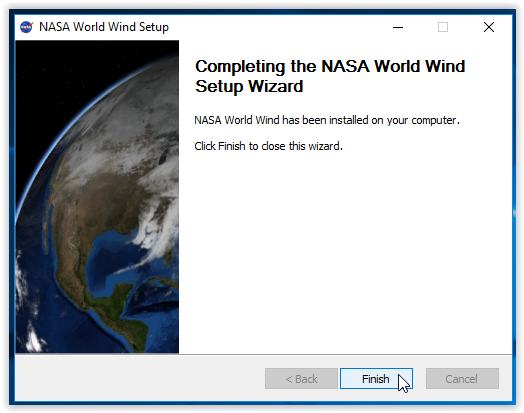 NASA World Wind will begin installation and once complete, select Next. 15. 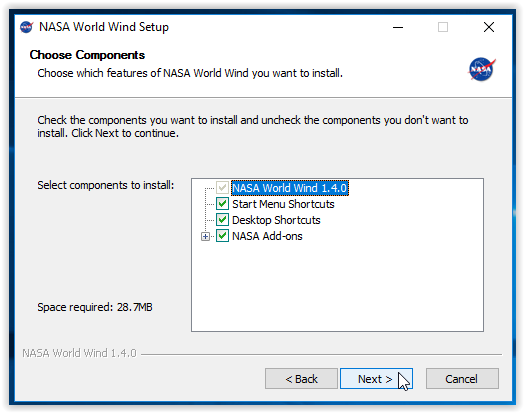 NASA World Wind should now be installed on your operating system.